Back row from left to right: PJ Butler, Daniel Silva, Sean Vo, Ronan McNally, Pearse McNally, Eden Dalton, and Alyssa Collins. Front row from left to right: Iman Bendarkawi, Hannah Millen, Kellie Berry, Rebekah Panaro, Dani Hill, and Saoirse McNally. 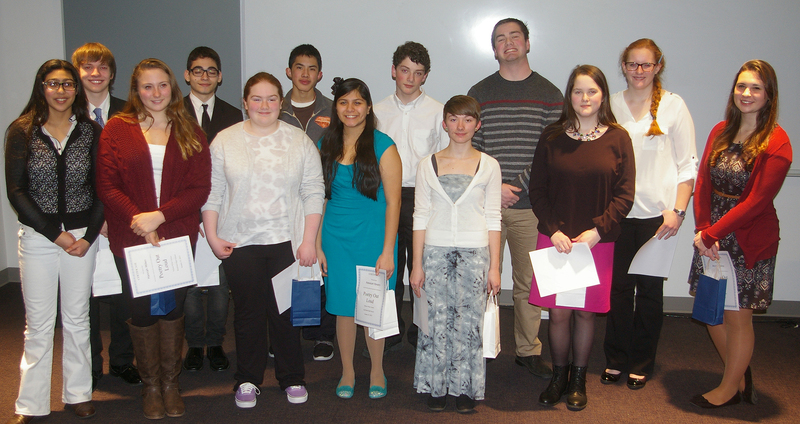 On Friday, Jan. 23 thirteen students from Rockland High School participated in the annual Poetry Out Loud contest. Each of the thirteen contestants recited two poems. They were joined by Justin Arena’s trio who provided musical interludes. When the judges’ decisions were announced, it was a senior sweep. Daniel Silva was awarded third place, Pearse McNally was awarded second place, and for the second year in a row Danielle Hill was awarded first place. Hill will be moving on to Southeastern Regionals on March 1st. On behalf of Veritas Staff, we wish Dani good luck! For more about the Poetry out Loud competition be sure to see the full story in the February print issue of The Veritas. 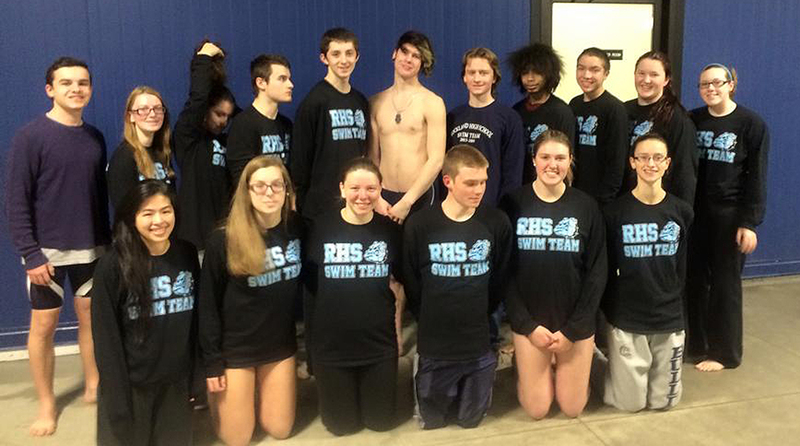 The boys and girls swim teams were both victorious tonight in their meet with Randolph. For the girls it was their first win of the season; the boys got win number two. Congratulations to all, especially the seniors on their Senior Night. POETRY OUT LOUD, the annual poetry recitation competition, will be held on Friday, January 23, 2015, at 7 PM in the Lecture Hall. 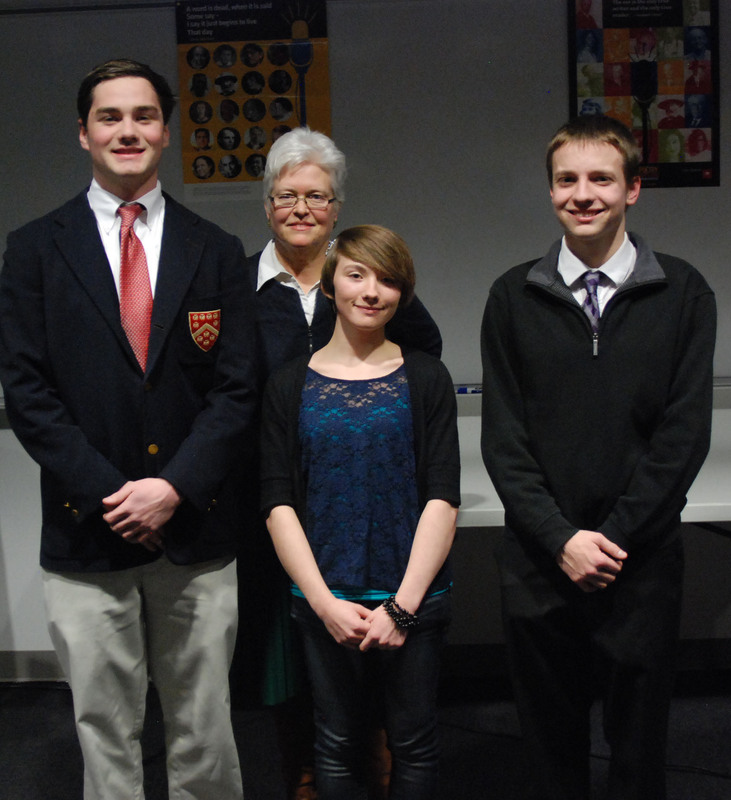 Left to right: Pearse McNally, Danielle Hill and PJ Butler were judged in the top three in the Poetry Out Loud competition last year, pictured here with Mrs. Amy Woodwood. Hill placed first, Butler, second and McNally third. They will be competing again this year on Friday night along with several other performers. Don’t miss it! Mrs. Fleming in her sewing class. Left to right are: Vianna Andrade, Shamara Caddeus, Mrs. Fleming, Sara Yalenezian, Teddy Panagiotidis and Kaitlyn Roche. After teaching for 32 years Rockland High School’s Family and Consumer Science teacher Trish Fleming will be retiring on Wednesday, January 21. As reported in a previous Veritas article, Mrs. Fleming has had quite the successful career at RHS. She has been recognized for her work as an educator by Superintendent of Rockland Schools, John Retchless, who said that her contribution to Rockland students goes above and beyond her work in the cooking and sewing rooms. Mrs. Fleming has introduced her students to the community through charitable cause such as creating and donating comfort pillows to Breast Cancer patients as well as taking classes to homeless shelters. Her students are appreciative of what Mrs. Fleming has taught them over the years. “Every class felt like students were really working together and achieving a perfect final product. To learn that lesson as a teenager is priceless,” said Junior Logan Murphy in a previous article. Even though Mrs. Fleming is finishing up her last few days at RHS her impact on students will always remain. “Leaving is kind of bittersweet,” says Mrs. Fleming, “I’m going to miss my students.” She explains that doing certain things such as projects and assignments for the last time has been difficult for her. What’s next for Mrs. Fleming? She is looking forward to sunshine and doing some traveling with her husband, David. In order to assist students in preparing for the May 2, 2015 SAT exam – which will be held at Rockland High School – an SAT preparation course will be offered for those who are interested. RHS faculty members from both the math and English departments will serve as instructors for the course and will use the official College Board SAT Study Guide, data from past SATs and PSATs, and time tested review strategies and techniques. All classes will take place from 7:00-8:30 p.m. at RHS. The cost, including all materials, is $75 for one subject and $100 for both. The math portion of the course will meet on Tuesday nights: February 24, March 3, March 10, March 17, March 24, April 31, April 7, April 14, and April 28. The critical reading and writing section will meet on Thursday nights: February 26, March 5, March 12, March 19, March 26, April 2, April 9, April 16, and April 30. 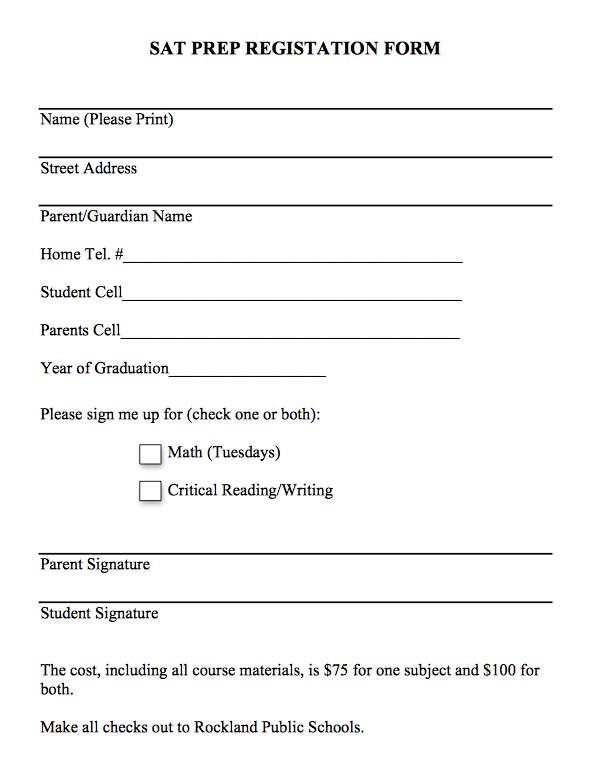 You may register by completing and returning the registration form to the Rockland High School Guidance Office on or before February 13th. Due to recent events impacting the Rockland community Mid-Year exams have been postponed along with the conclusion of Term II. 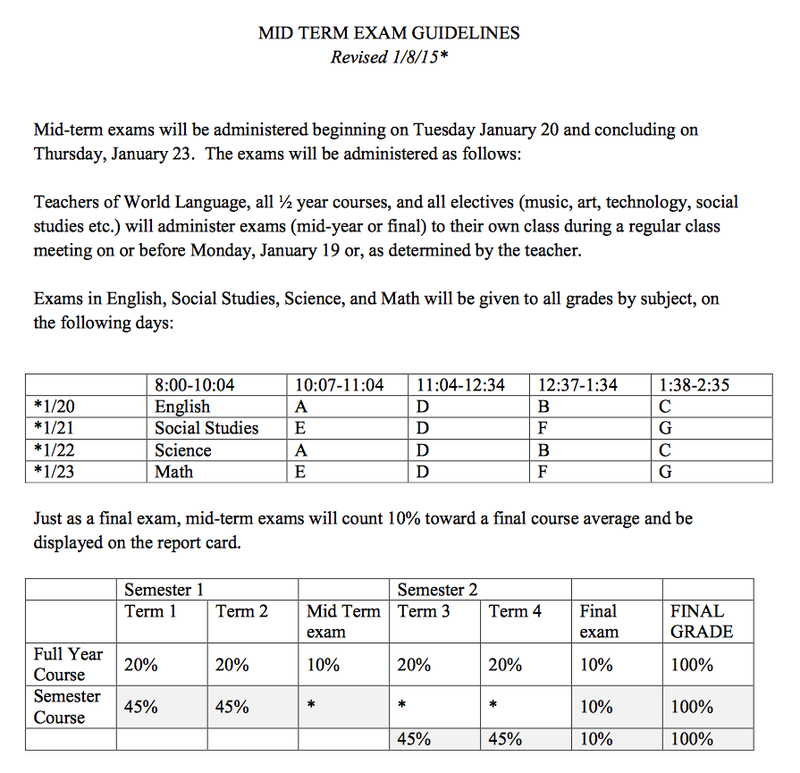 Term II will end on January 28 and grades will be posted at 1:00 pm on February 4. The Rockland community has suffered a great loss. 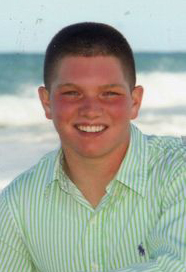 Rockland High School senior, Patrick Sullivan tragically passed away on New Year’s Day. Known by his friends as “Sully” or “Rick,” Patrick was a member of the Student Government Council as well as the football, wrestling, and baseball teams. The thoughts of the Rockland community are with the Sullivan family during this difficult time. Patrick will be greatly missed by his family, friends, classmates, and all those who knew him. A GoFundMe page has been set up to give back to the Rockland community in Patrick’s honor. Services for Patrick Sullivan will be held at the Magoun-Biggins Funeral Home, 135 Union St. Rockland on Wednesday January 7, 2015, from 5:00-8:00 PM. A Funeral Mass will be held on Thursday January 8, 2015 at 9:00 AM in Holy Family Church in Rockland.